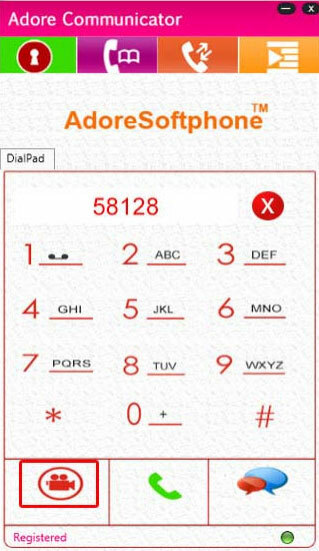 Adore PC Communicator is a softphone application which is developed specially for the PC based on the Windows operating system. It can allow you to use your PC, Laptop or Notebook to make voice and video calls along with the newly integrated Instant Messaging and Data transfer functionality. Armed with the latest technology of VoIP Communication, it is just the fun to install and use. White Label (Co-Branding) Solution is your perfect chance to get more customers and expand your business. Adore Video & IM Softphone is the highly advanced offering of Adore Infotech in the VoIP arena. It is especially designed to provide the platform to make unified VoIP communication that include voice call, video call and instant messaging. This new generation VoIP application is efficient enough to manage all your communication need. Enriched with all the latest advanced functionalities, the Adore Video & IM Softphone is meant for taking the VoIP communication experience to the new apex. This highly robust and efficient softphone software can easily and effectively cater all the communication requirement of an individual or a business without any glitches or hassle. Our Video and IM softphone is developed with the capability to not only attuned with the present VoIP technology but handle all the future developments as well. This software is fully tested for the compatibility by our industry expert testing team and qualified for being robust and efficient Softphone that match up with the global VoIP standards and got outstanding reviews for being an excellent video conference softphone. It is highly interoperable with all the standard platform and devices of VoIP industry. The advanced features that come up with this Softphone application has set a benchmark in the VoIP industry and get you such unified communication experience that you never had before.